When you simply do not wish to be found, when you need to escape and unwind, there is no better place to disappear than Emaho Sekawa. Wake up in the morning to the sound of waves, whistling birds and magical rain forest. Perched high on a hill on Fiji’s second largest island, Vanua Levu, the resort is surrounded by hundreds of acres of pristine tropical rainforest, with breathtaking panoramic views of The Pacific Ocean, Savusavu Bay Coastline and nearby Mountain Range. This unique location makes Emaho Sekawa different from any resort in Fiji. It is an ideal base camp from which to explore both ocean and rainforest, while getting to know the authentic, traditional Fiji. Experience the world’s “hidden paradise” while being wrapped in luxury and romance. 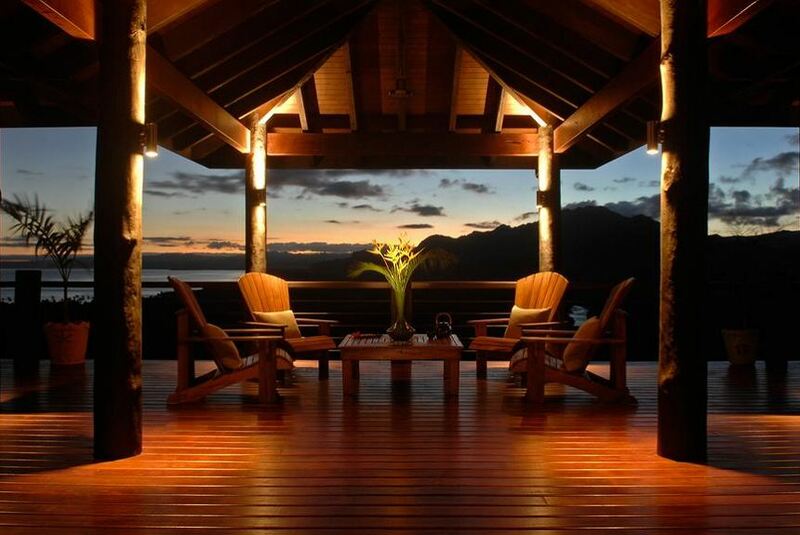 Emaho Sekawa is a 5 star all-inclusive, private, tropical haven – Fiji's most unique resort, and the ultimate in tropical luxury.